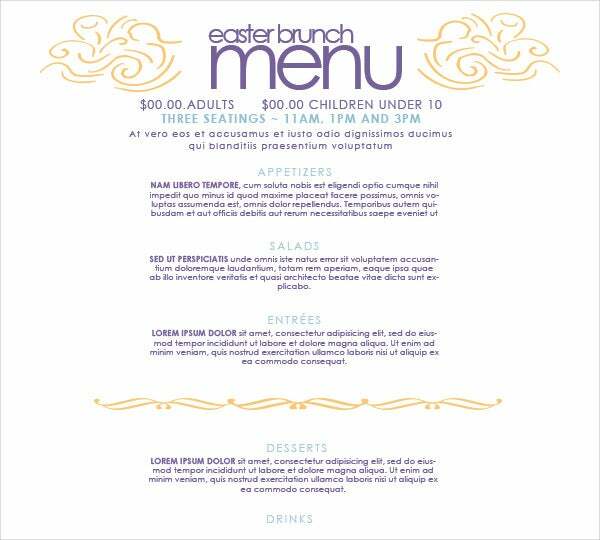 Looking to update your menu’s look? Whether you’re running a cafe or a burger joint, a bit of change is good for your business’s image. It shows that you’re evolving and taking steps to improving the service and ambiance of your restaurant. A good menu shows clearly the best you have to offer and shows the customers everything that they need to know before ordering. 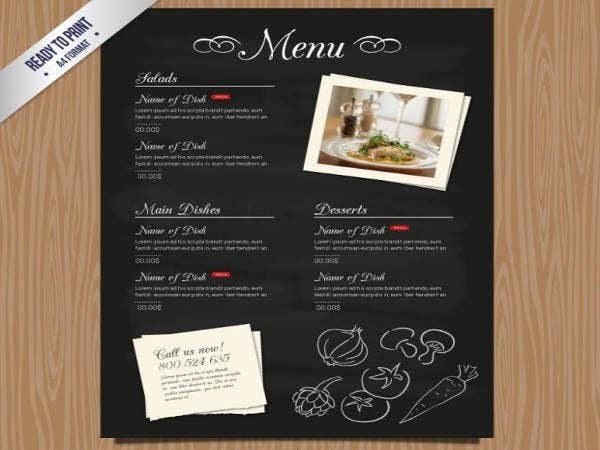 If you don’t find the right menu template for you here, check out this cool collection of menu templates. You might find something that will better fit you and your food business’s taste. 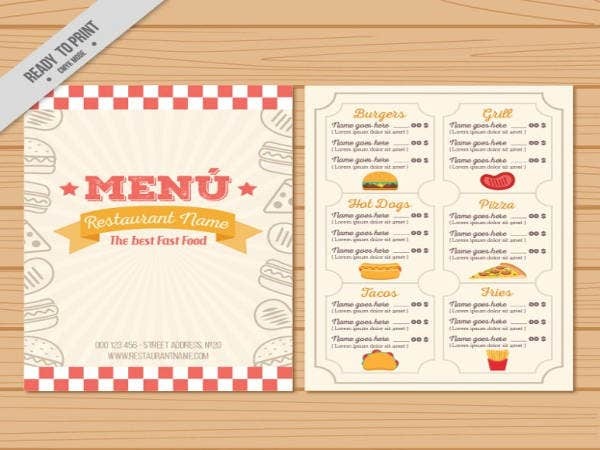 Regular menus for various restaurant types like diners, bakeries, and burger joints. 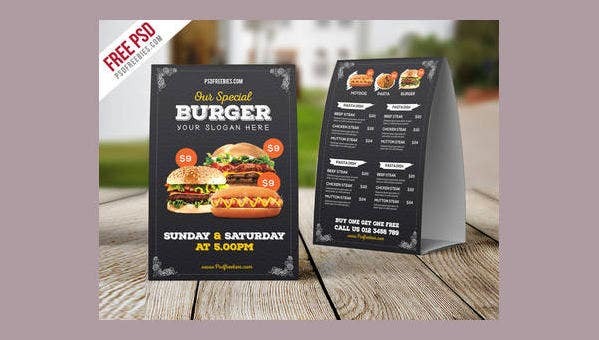 The design styles were made to be printed. 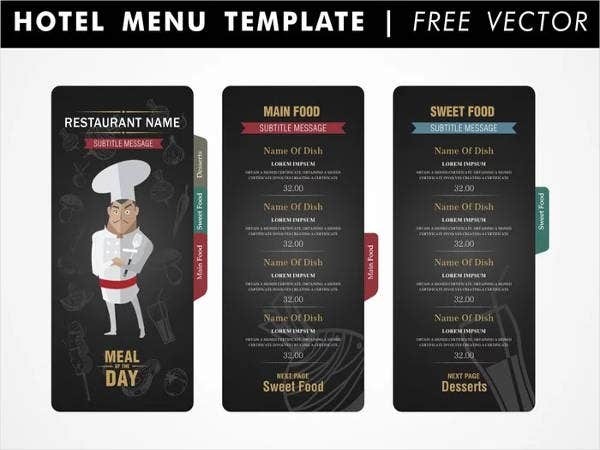 If you’re looking for more generic menu templates, some of our blank menu templates—which you can free to download or license for a modest fee, edit, and print—might catch your attention. A food establishment’s ambiance or general atmosphere is part of an amazing dining experience. The lighting, the fixtures, and the food coming together create an experience that differentiates dining from eating at home. Menus must go along with it too so it doesn’t stick out like a sore thumb. 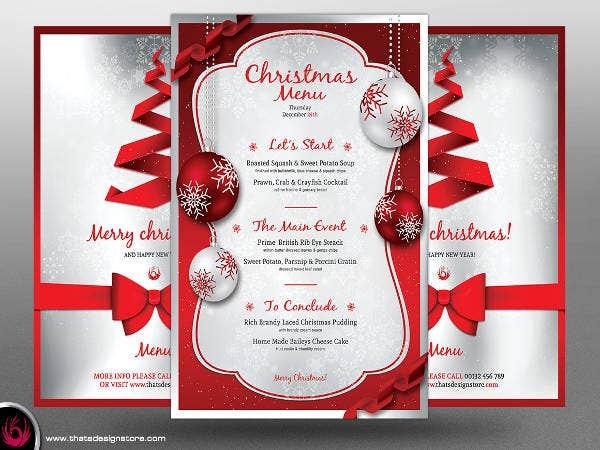 If you’re not planning to run a restaurant but plan to cook for someone special or a special occasion, printing out a menu for an anniversary or a coming-home party can give the dining experience a fancier feel, even if only celebrated in the comforts of your home. 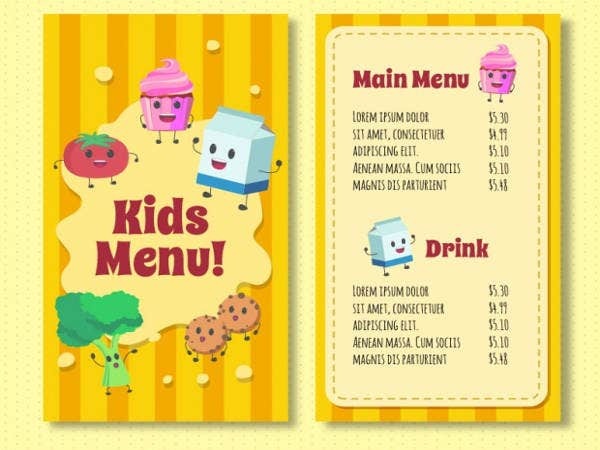 These menus are free, and they are all available in vector formats like AI or EPS or in PSD. This means that they can be easily edited and customized to fit most food establishments. The designs were made with the intention of having them printed, and since most of these are available in a vector file format, they will look as they should in different sizes. 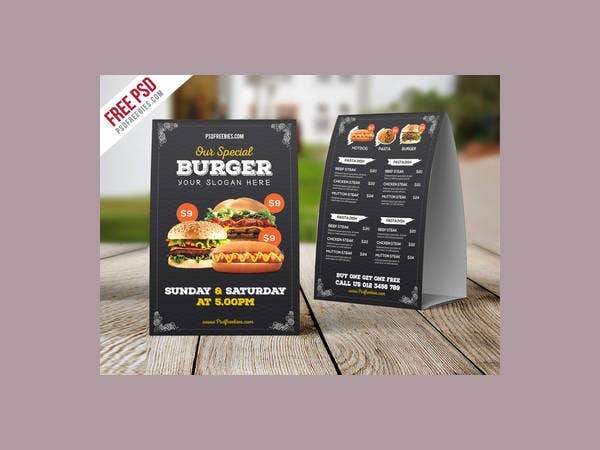 They are simple, high-quality designs so you shouldn’t mess a menu up with too much distracting clutter. There are plenty of design options to choose from; and all of them are free to download or licensed for a modest fee, easy to customize to your needs, print, and use. 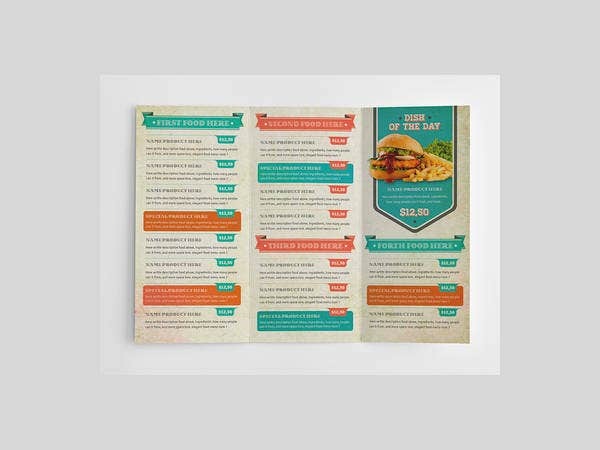 Depending on the kind of restaurant you’re running, menus should give customers a good idea of the food you offer and the environment that you’re cultivating in your establishment. Pictures and descriptions help in that purpose. 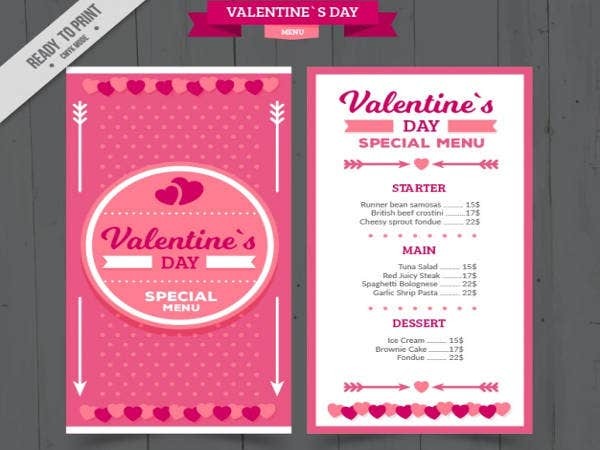 Even the menu’s design, typography, and color theme can add to the overall experience. 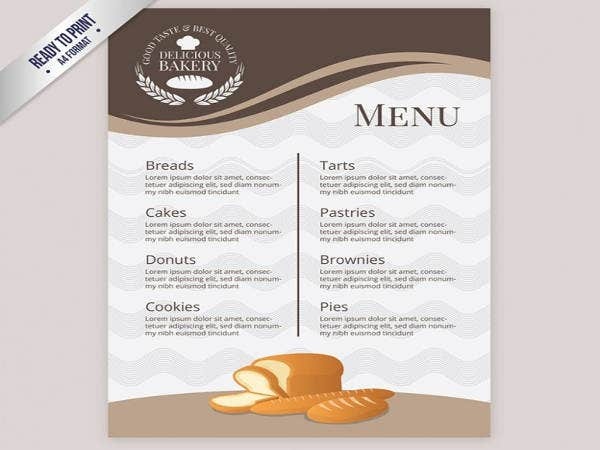 If you still haven’t found the menu design styles you’re looking for, then you can head over to one of our food menu templates collections, and you might find the perfect one that best suits your needs.